It’s amazing the things you learn out of necessity. Our dryer hasn’t been working the best lately, which means I never seem to get caught up on our laundry. Oh, did I mention we have a six-month-old baby? While I’m ahead, I might as well make things even more exciting and add that we use cloth diapers. You better believe laundry is a big deal around here. 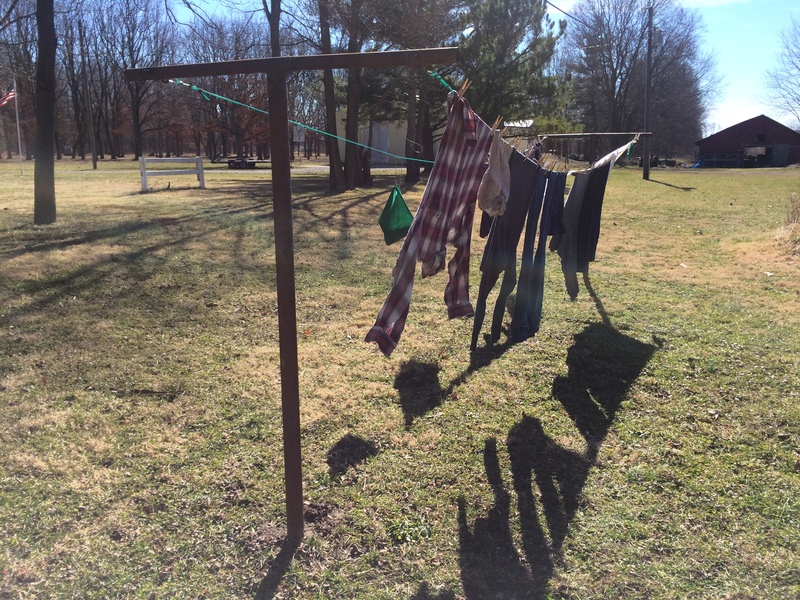 Yesterday was in the mid-to-high fifties, so I decided to put our cloth diapers on the clothesline. The sun was shining and there was a nice breeze, so I figured even if they only partially dried at least my dryer wouldn’t have such a hard time trying to get all the inserts dry. I wasn’t able to get outside until two o’clock, but when I brought them inside at six I was amazed at how dry they felt. There were only a couple that still needed to go back into the dryer. Today was supposed to be colder with a high of 42 degrees. Well, my curiosity got the best of me and I did a quick google search to find out if I could “line dry clothes outside in winter.” I was amazed to discover it was indeed possible! Not only was I able to get outside and enjoy the sunshine, but I may finally be able to get caught up on all our dirty laundry. 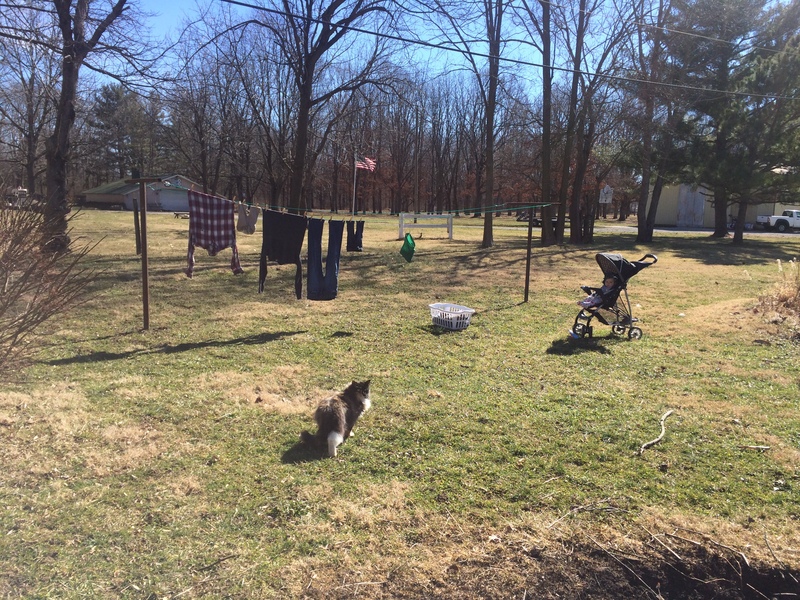 Plus, the sight of our clothes (or diapers) flapping in the wind on a sunny day fills me with a certain kind of contentment I don’t typically get when I’m using our dryer. 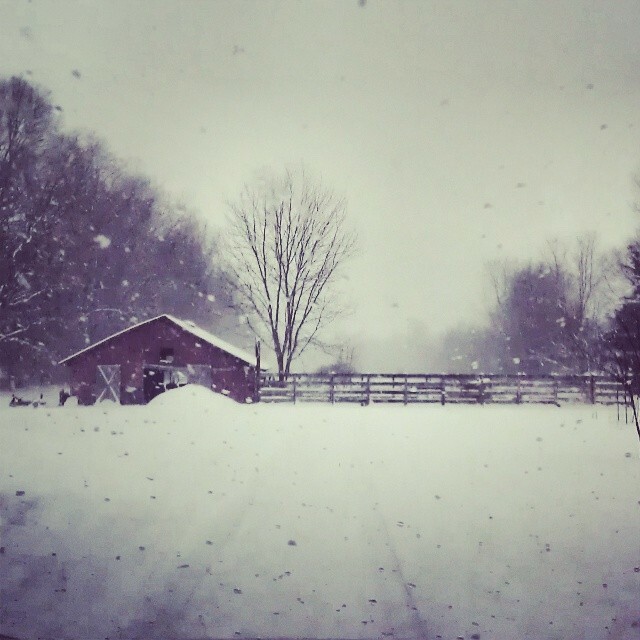 Our interest in homesteading has made our reliance on God even more apparent. One of the most obvious examples is weather. Last summer proved to be tough on many gardens across the United States, but our area experienced a wide array of ups and downs. The growing season started out great! Our tomato plants were loaded with beautiful green tomatoes at the end of June, just waiting for the sun to come and give them a nice suntan. Unfortunately, the sun never seemed to shine bright enough. Many of our tomatoes rotted on the vine before they were able to fully ripen. The term tragedy might be a bit of a stretch, but that’s what it felt like at the time since we had already let our dreams of the future harvest shape our expectations. July brought the promise of ripe tomatoes, but despite our hopes the heavens opened up and blessed us with copious amounts of rain. Our garden was flooded not once, but twice! 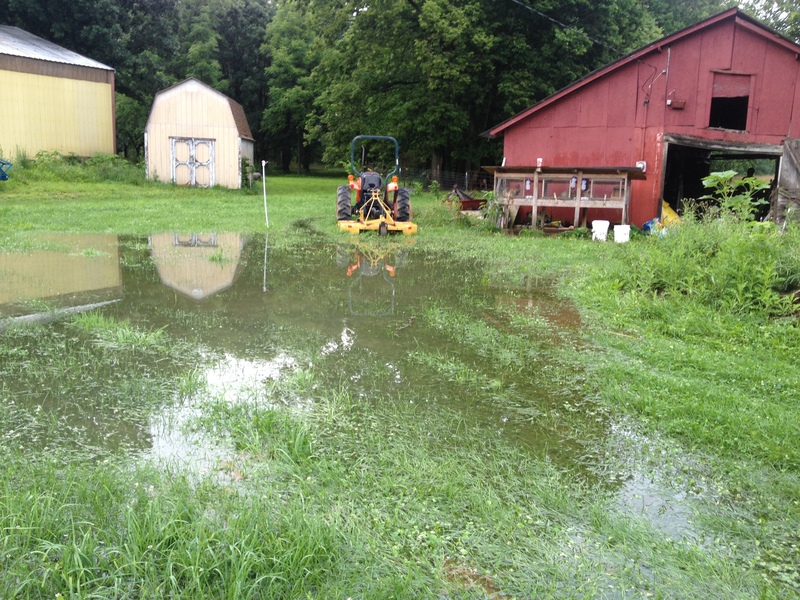 Many folks in our area lost their entire gardens due to flooding. Thankfully, the wood chips we use in our Back to Eden garden absorbed the water quickly and we continued to reap a harvest. A diminished harvest, but a harvest nonetheless. Our maple syrup harvest has also suffered the last couple of years. For the sap to run well enough to collect a harvest, the temperature has to fall below freezing at night, and rise to about 40 degrees during the day. Unfortunately, we have gone from freezing winter to lukewarm spring the last few years without that sweet spot the sap needs to run well. We started breeding rabbits last year with overall great success. However, we did have a litter not make it. One day, we noticed the mom had uncovered the baby rabbits in the nest and they were not moving. We have no idea what caused her to stop taking care of them, but that’s the way it is. We provided shelter, food, water – everything rabbits need to survive. Yet they didn’t survive. One of the most amazing aspects of God’s creation are seeds. We received a brown package a couple weeks ago with our seeds from Baker Creek. It’s crazy to imagine the small envelopes contained inside its bubble wrapped interior hold all the seeds we’ll use to fill our garden with produce. 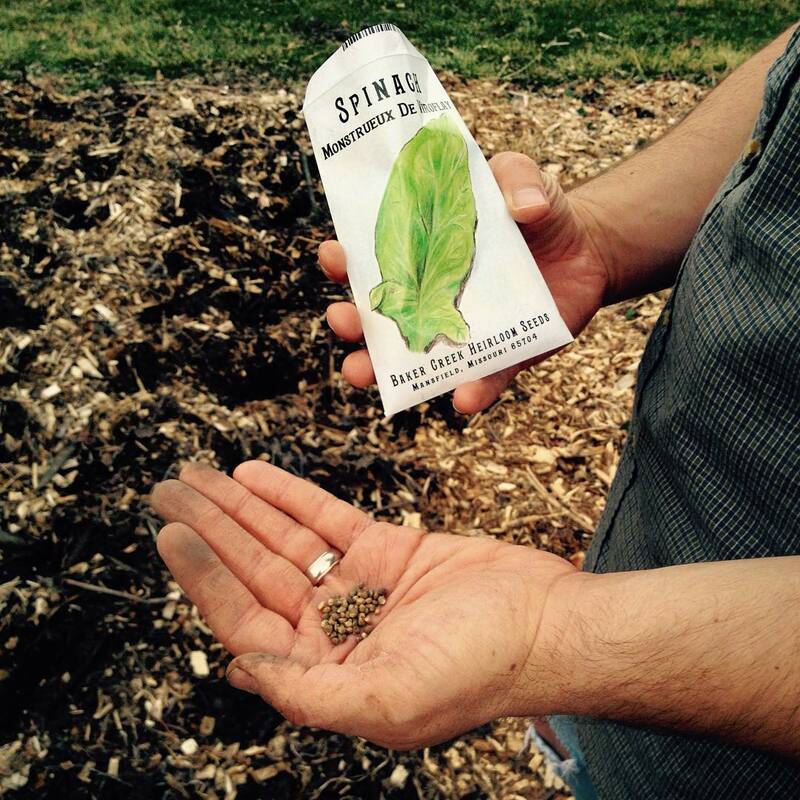 A seed is such a small, seemingly insignificant thing, but it’s packed with potential! Our reliance on God goes far beyond homesteading. We rely on Him for everything. It’s great to make plans, but whether or not they come to fruition is up to God. We have a huge responsibility in life. We all have our role to play. However, we are totally incapable on our own. There’s only so much we can do apart from God. We must do our part, then we can expect God to His part. In late winter, 2011, we attended a small festival called Maple Syrup Time at a little park in Lake County in northwest Indiana. We were living in Crown Point at the time and emerging from a long winter in our tiny apartment. It was a pleasant, sunny day. We were just looking for a fun afternoon, not a new hobby, but that is exactly what we found. 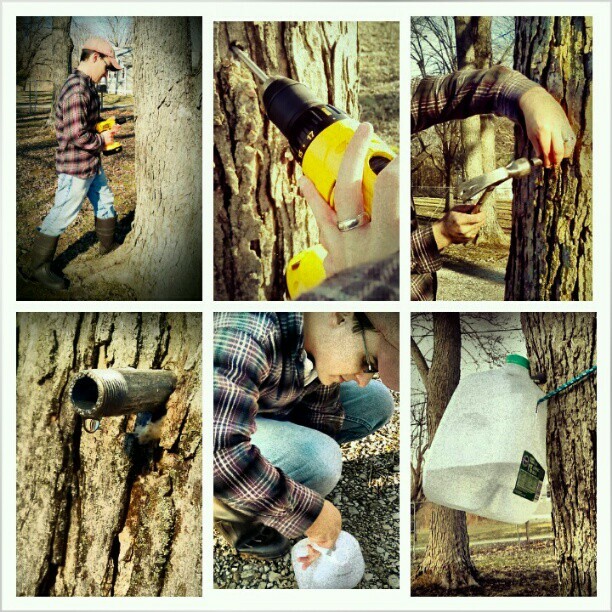 It turns out, tapping trees and making maple syrup is a pretty simple task! The process starts with maple trees. Lucky for us, we have four large silver maple trees in our front yard at Novel Farm. A tree needs to be at least 10 inches in diameter before tapping. If the tree is over 18 inches in diameter, it can hold 2 taps, and a tree measuring about 28 inches or larger can manage 3 taps. Try spacing out your taps evenly. In our experience, taps on the south side of the tree collect the most syrup. The next thing you need is cooperative weather. The temperature needs to reach about 40℉ during the day, and drop below 32℉ at night. Where we are in Indiana, this typically occurs in February and early March. However, the past few years have been as stubborn as an old mule. Regardless, November and December are good times to start collecting gallon milk jugs, if that is what you are going to use to collect your sap. You can buy a bit fancier supplies, but we are frugal in our maple syrup endeavors and honestly don’t notice much of a difference. As we mentioned in the last post, the winter months are the perfect time to dream of next year’s garden. We’ve been poring over seed catalogs for the last few months and finally managed to narrow down our seed selections for this year! 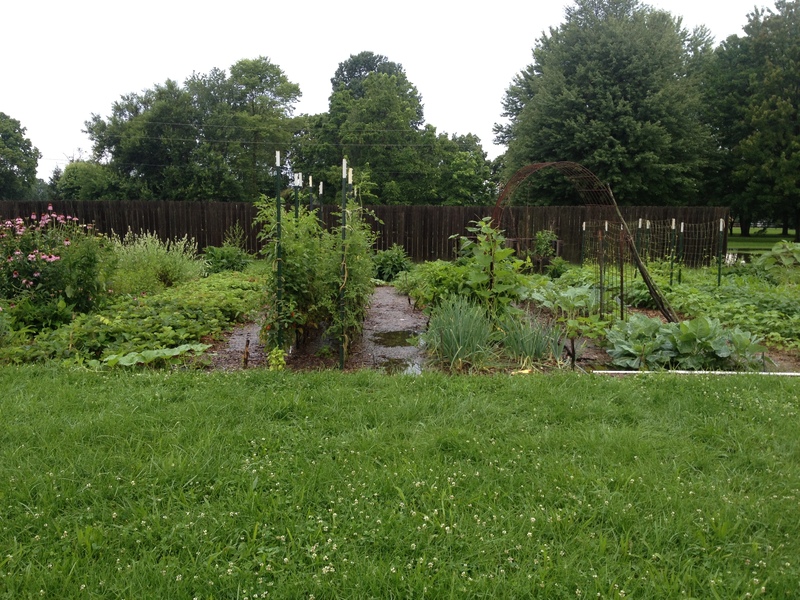 Our garden is over 1,200 square feet and growing. There’s simply never enough time or space to grow everything we initially write down. Growing up, I always assumed a tomato was a tomato and corn was corn. Who knew there are hundreds of different varieties?! In fact, when we bought seeds for our first garden, we were so confused because we could not find “green beans” anywhere! Contender, Kentucky Wonder, Fortex, those all sounded nice, but we just wanted green beans. Yeah, unfortunately, that’s a true story. We finally got our first real snow of the season recently and it is beautiful. My husband is especially excited about all the nitrogen fixation occurring in our garden. When we started gardening, I was surprised to find out snow was actually a huge benefit to gardeners. We use plenty of chicken and rabbit manure to enrich our soil over the winter months, but it’s always nice to know God is helping us in other ways too!